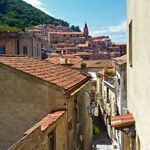 The lovely medieval borgo of Maratea is not very much advertised, but definitely worth a visit. 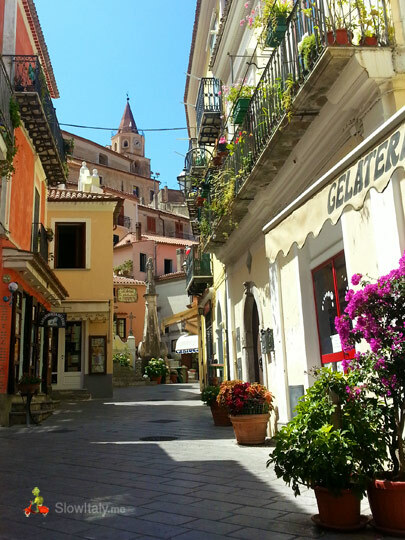 It is the only city of Basilicata on the Tyrrhenian coast, located in the Gulf of Policastro, along the very scenic road going from Sapri (in Campania) to Praia a Mare (in Calabria). 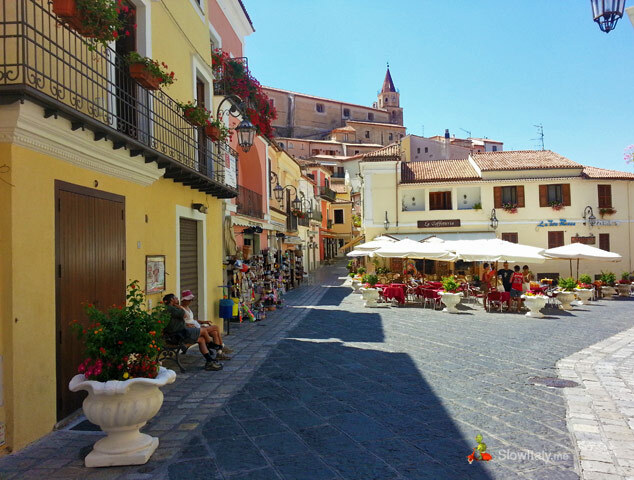 It makes an ideal one-day or half-day excursion when staying in Palinuro or any other seaside resort on either side of the Lucanian Tyrrhenian coast. 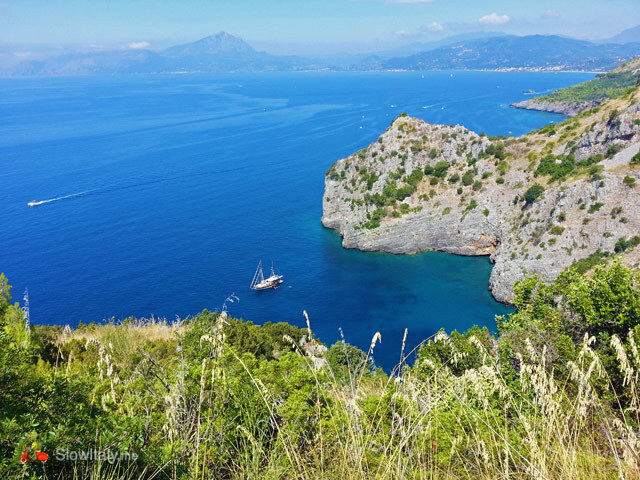 The stretch of Basilicata‘s coastline on the Tyrrhenian sea is very small, but exquisite, with mountains and rocks sweeping down to the sea, revealing enchanting little beaches below (most of which are only accessible by sea). 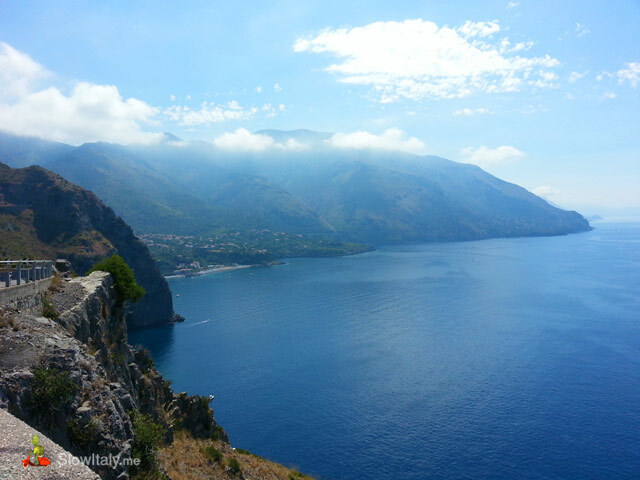 The scenic road connecting the different villages (frazioni) before arriving in Maratea alternates between dense tracks with colorfully lush gardens and fine groves, and open spaces where you can park your car and look down the coast to discover the beautiful little bays deep down. 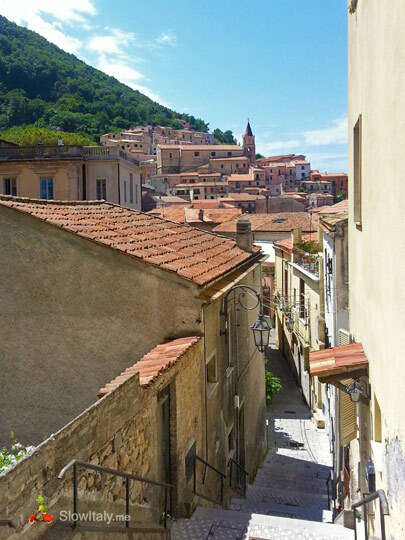 The town of Maratea became known as the city with 44 churches because of its numerous churches, chapels, monasteries and hermitages located within the 10 frazioni of Maratea. 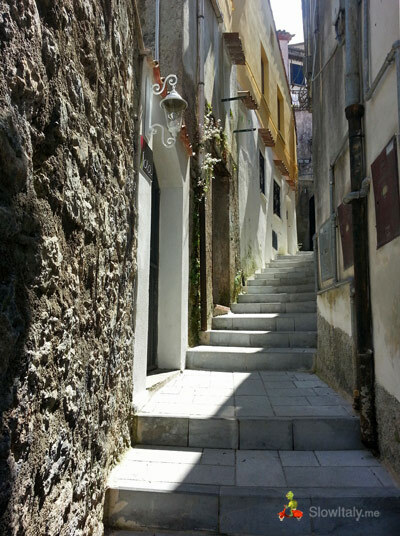 The 10 frazioni from north to south are: Acquafredda, Cersuta, Fiumicello, Porto, Centro Storico/Valle, Marina di Maratea, Castrocucco, Santa Caterina/Castello, Massa, Brefaro. 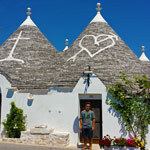 The main churches are the Basilica di San Biagio (Castello), Chiesa di Santa Maria Maggiore, Chiesa dell’Annunziata, Chiesa dell’Addolorata, Chiesa dell’Immacolata (Borgo), Chiesa di San Francesco di Paola (Valle) and Chiesa di Maria Santissima Immacolata (Acquafredda). The ancient town of Maratea was built on top of the Monte San Biagio, at an altitude of 633 meters above sea level, in the area known as the Castello di Maratea Superiore (known as Maratea di suso), strategically chosen because it could not be seen from the coast, and as such protected the inhabitants against invaders from the sea. Of the original site only ruins are still visible. 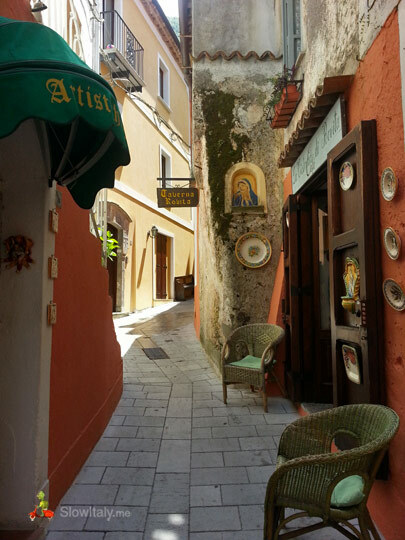 The origins of Maratea are very ancient. 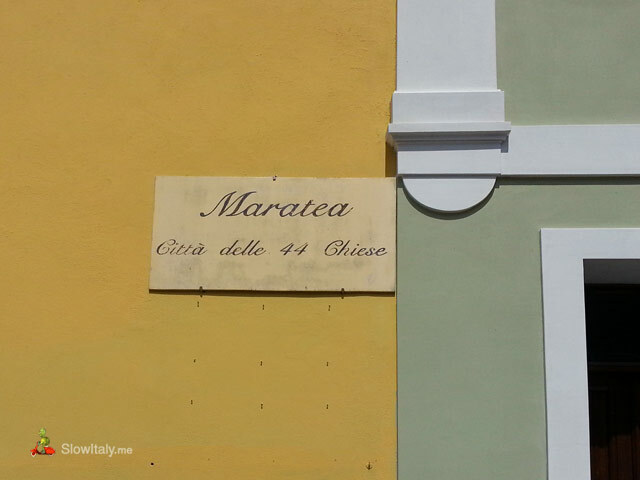 The first written record mentioning the name ‘Maratea’ dates back to 1079, but the area was already inhabited in prehistoric times as attested by archaeological findings in the frazioni of Massa and Brefaro. 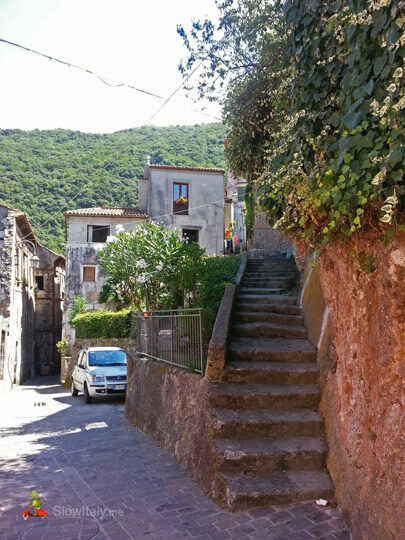 In the 11th century the population started abandoning the area of the Castello in favor of the valley where they could practice agriculture. 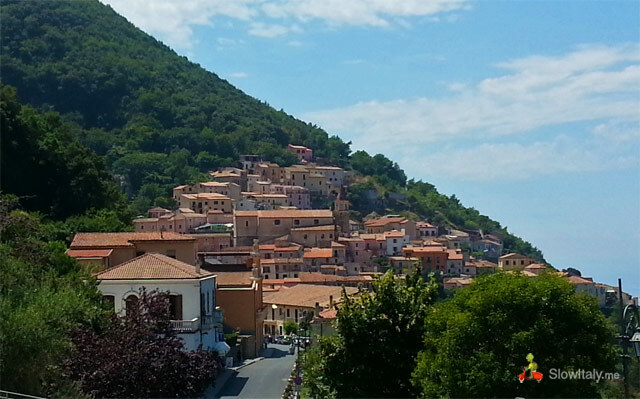 They founded a new village, historically called the Borgo (also known as Maratea Inferiore or Maratea di giuso). 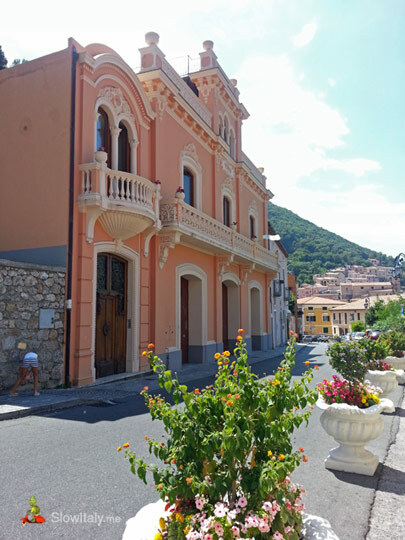 The first houses were built in the highest part of the borgo, called Capocasale. 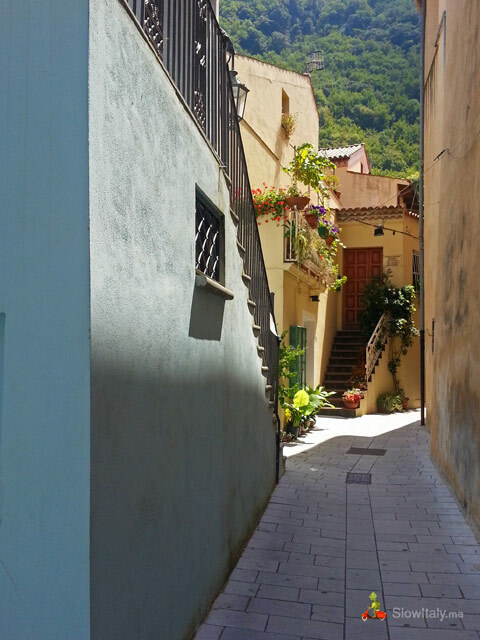 The typical urban structure of Maratea, which is still visible today, with its narrow alleys, stairs, arches and small gardens interlocked with the buildings and squares, originated in that period. A third part of the town at sea level, consists of the Port. 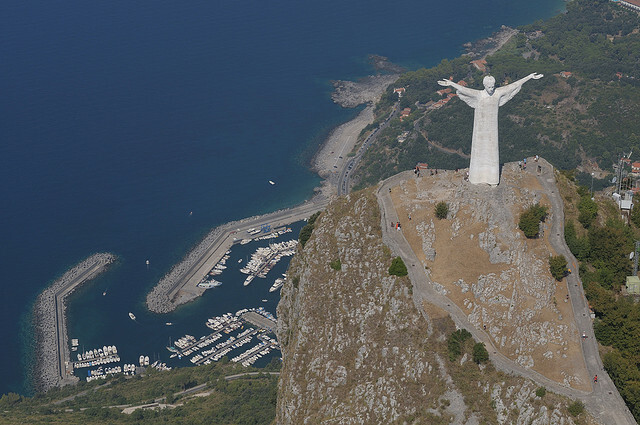 Today Maratea is best known abroad for its giant statue of the Christ Redeemer, located on top of the Castello, right in front of the Basilica San Biagio and visible from all the villages of the entire Golfo di Policastro. 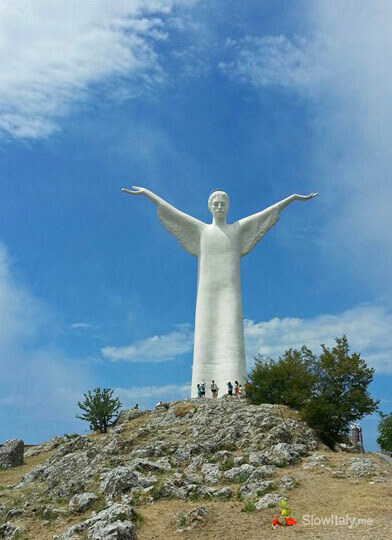 Measuring 21.23 meters (69.7 ft), with a 3 meters long face and an arm span of 19 meters, it is the fifth tallest Christ statue in the world, after the ones in Cochabamba (Bolivia), Rio de Janeiro (Brasil), Świebodzin (Poland) and Lisbon (Portugal). 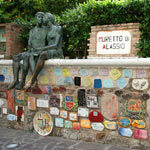 It was commissioned by Count Stefano Rivetti and built by the Tuscan sculptor Bruno Innocenti between 1963 and 1965. It is made of a metal structure, deeply anchored in the underlying rocks, covered with a paste made of concrete and flakes of Carrara marble. 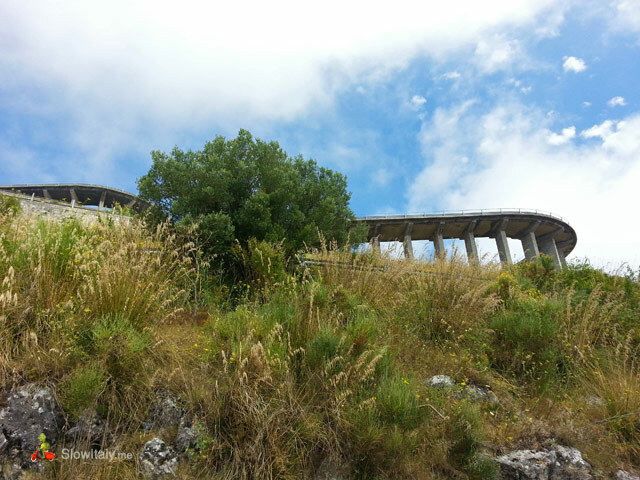 It is also here, on top of the hill, that the Basilica of San Biagio of Maratea was constructed in the 6th-7th C., probably on the ruins of an ancient Pagan temple, at least that is what folk tale tends to say. The Basilica has been significantly renovated and rebuilt over the centuries, to a point that not much of the original style has been preserved. 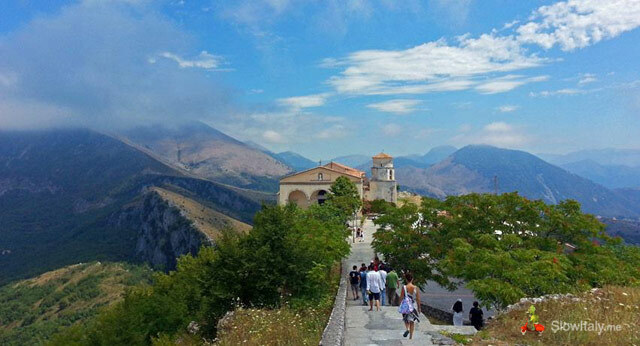 Originally called Madonna delle Grazie, the basilica was renamed San Biagio, in honor of Saint Blaise, bishop of (historical) Armenia, martyr and patron saint of Maratea, whose remains arrived there in 732, shipwrecked during a storm. During the storm the ship transporting the saint’s remains was surrounded by an intense light, preventing the ship from returning to sea. 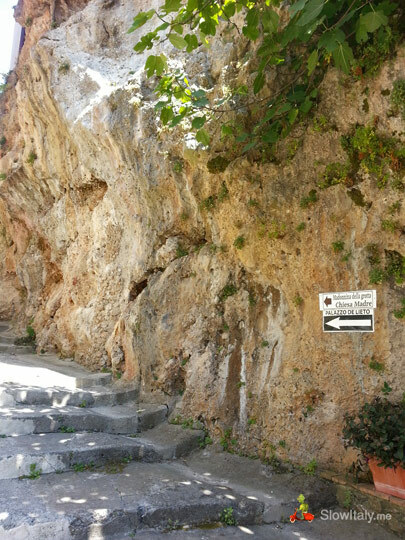 This was seen as a sign that the remains had to stay in Maratea. Once they were disembarked the ship could proceed without problem. 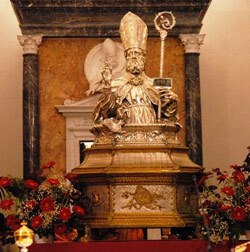 Each year, on the Thursday following the first Saturday of May on which the procession begins, the silver statue of the saint (the Reggia Cappella) is transported from the basilica in Maratea di suso to the main church of the Borgo (Maratea di giuso). 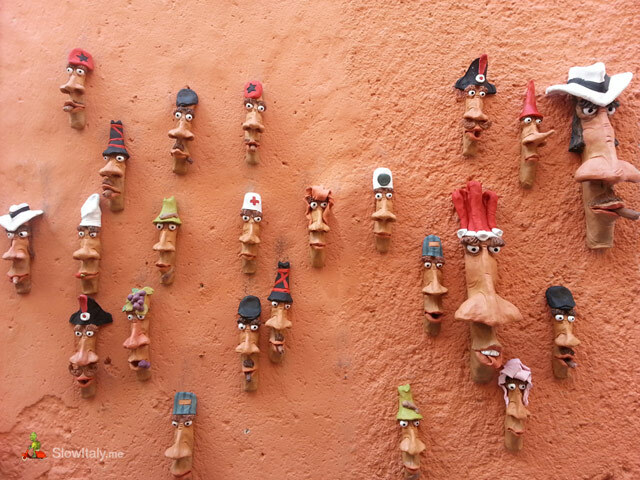 The following Sunday the inhabitants accompany the statue back up the hill to the basilica. Saint Blaise is invoked for protection against injuries and illnesses of the throat. 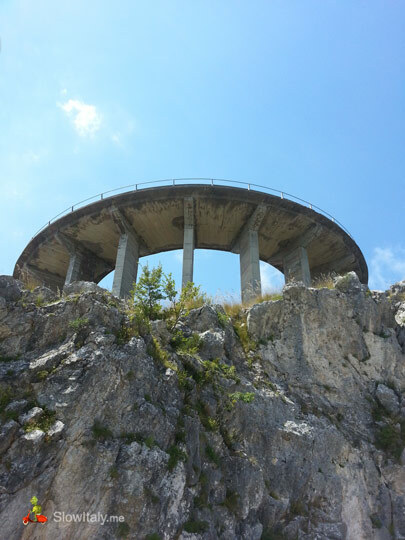 The road that goes from the Borgo to the Castello was built in the sixties and is particularly impressive, especially in its last stretch, which consists of viaducts almost entirely suspended in the air. Fortunately, access is forbidden to private cars in this last stretch. You are invited to park your car, pay a small fee and a navetta (small bus) drives you from the parking up to the Basilica. 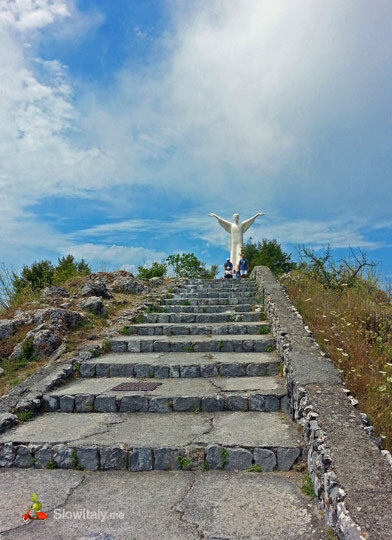 From there, there is a paved road with stairs leading to the statue. 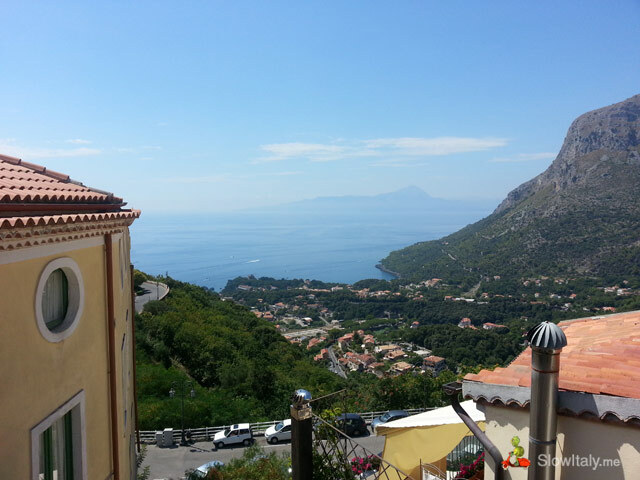 To conclude our visit in Maratea we decided to have a short break for a snack and drink. 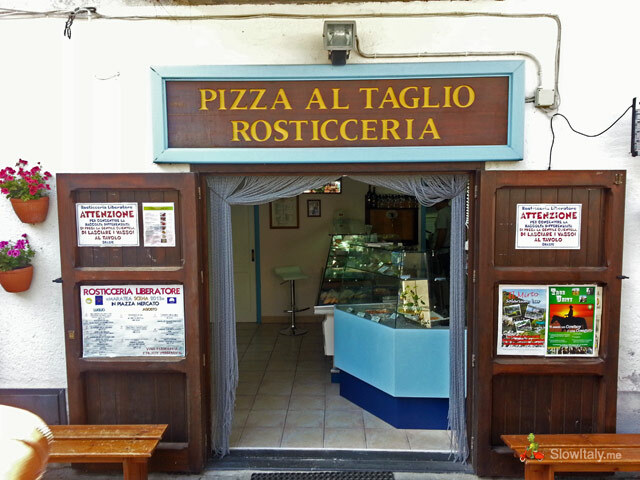 There is an excellent rosticceria, called ‘Liberatore’, Piazza Mercato, on the main square in the old town. 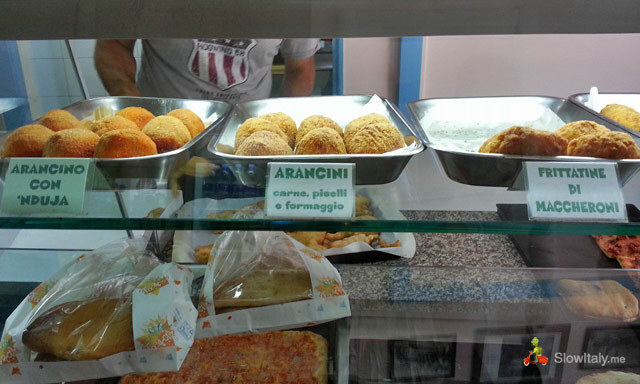 They have excellent arancini (with ‘nduja or with meat, peas and cheese), frittatine di maccheroni, fabulous gateau di patate and fiori di zucca fritti. 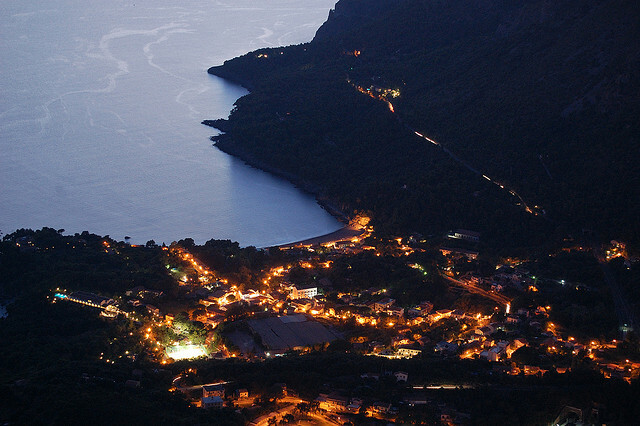 Photo credits: all photos © Slow Italy, except night view over Maratea by paolocreativo; Redeemer statue view from the sky by Guido Alberto Rossi/Basilicata Turistica. 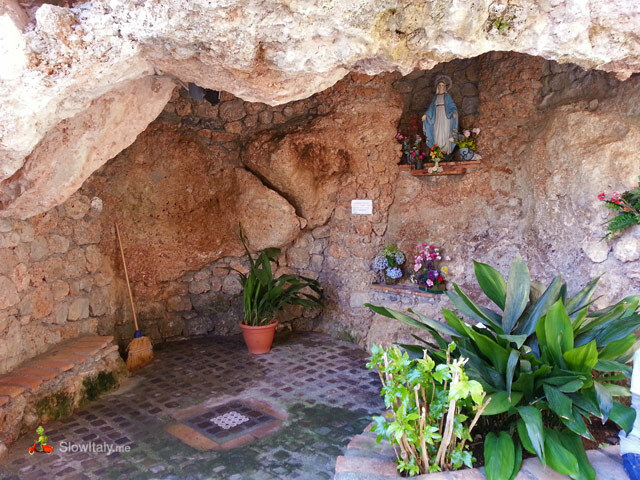 Interesante visita a Maratea, ciudad donde nació mi suegro, me gustaría ir a recorrerla personalmente, se ve bonita, tranquila; con tradición conservada en el tiempo. visitar la basílica de San Blas, el Cristo Redentor y por último, sentarme a degustar en la plaza principal en el casco antiguo, un excelente arancini (con ‘nduja o de carne, guisantes y queso), frittatine di macarrones , fabuloso pastel di patate y fiori di zucca fritos. web page is really marvelous.